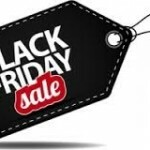 If you have been watching the television, listening to the radio or surfing the Internet in recent weeks you cannot have miss the never ending Black Friday promotions. 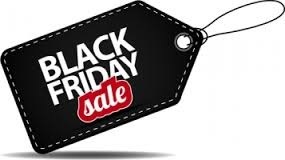 Black Friday is of course a recent import from America and refers to the Friday after the Thanksgiving holiday. So in reality it has very little relevance to the UK market and is simply an attempt by marketing executives to get everyone to go shopping in late November. If you have missed it, Black Friday is all about discounts and deals by retailers, whether these are real or imagined. Is discounting a good move for any business? Perhaps, if you have large quantities of stock that just will not move or you need to turn stock into cash rapidly. But should a business really be discounting good stock, if they are likely to be able sell it at full price only a few days later? The maths of discounting are interesting and the effects are always underestimated. Take a simple example of a business selling widgets for £10 that cost them £5 and thereby are making a profit of £5 per unit. Come Black Friday they cut their price by 20%, immediately reducing the profit per unit to only £3. Ignoring the fact that their existing customers may simple have delayed purchasing or brought forward an order to take advantage of the price cut, the business still needs to generate an additional volume of sales. Not just of 20%, but a massive 67% to maintain the same level of profit! And at the same time having slashed margins, there are few businesses that can genuinely accommodate increasing sales volumes by any meaningful percentage without incurring additional costs either in staff or overheads. So if you are thinking about following the crowd with discounts at any time, you may want to consider what you are trying to achieve by the action and what the consequences could be! Discounts on Black Friday should be carefully planned. If you need advice on making you business more profitable call Brian Russell on 01661872004.